Intrepid explorers passionate about serious adventure won’t find a more exhilarating way to experience Antarctica than on this one-of-a-kind polar expedition. With just seven travelers on a handful of departures each season, this is the most exclusive of opportunities! Explore the Antarctic Peninsula aboard an ice-strengthened motorsailer, surrounded by seals, whales, penguins and icebergs. In a world where “adventure travel” has become a relative term, we’ve reclaimed it with this total immersion in the planet’s last, most pristine wilderness. 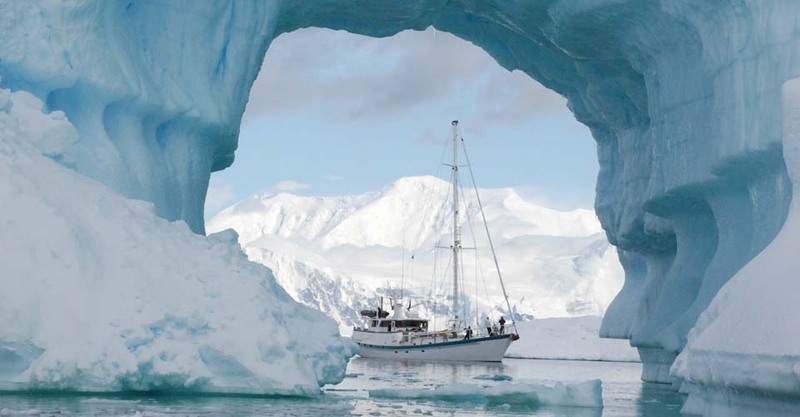 Our small-boat voyage—with a world-class skipper and seasoned polar crew—provides a base for genuine adventure, rewarding expeditionary travelers with a rare experience of one of the most remote and magnificent places on Earth. 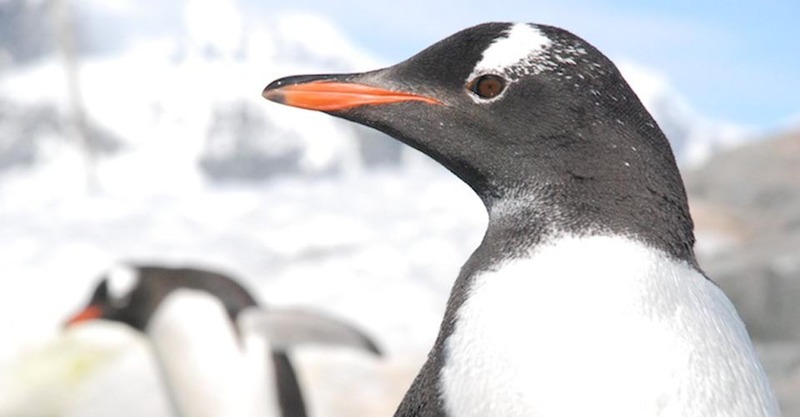 What Makes this Antarctica Adventure Stand Alone? 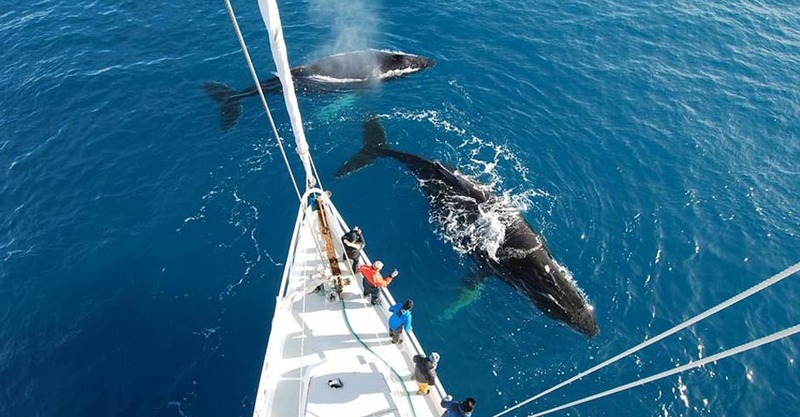 This expedition yacht-based itinerary is offered exclusively by Natural Habitat Adventures and WWF. While others cross the Drake Passage via cruise ship, we do it like the legendary explorers of old did—on a smaller expedition vessel! Except our modern motorsailer has an ice-strengthened steel hull and state-of-the-art navigation and safety equipment, ensuring that our thrilling voyage is also a much safer one than expeditioners endured a century ago. We take a maximum of just seven travelers. Most Antarctica cruise ships carry from 50 to 150 passengers and sometimes many more. On such voyages, you’re in the most remote place on the planet, yet you never get a break from the presence of many traveling companions, nor the noise of the ship. Our small-scale journey ensures a profound sense of solitude and quiet, which are ironically rare commodities on most Antarctica journeys. 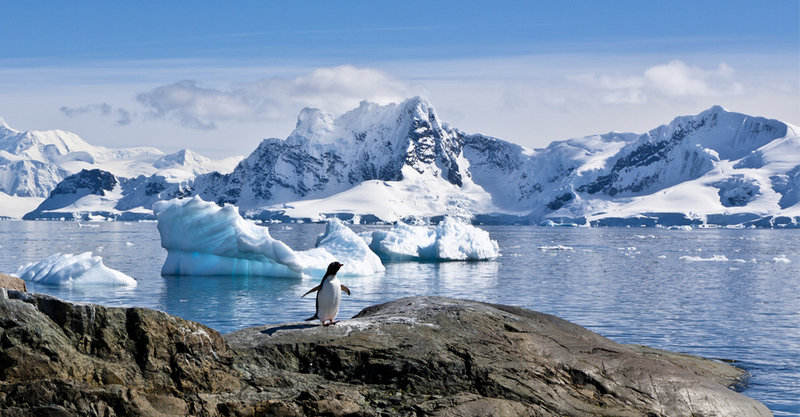 Most ship-based Antarctica voyages generally spend 4–6 days making shore excursions on the Antarctic Peninsula. On our sailing expedition, you'll have up to 10 days (depending on weather) to explore remote coves, beaches and icebound headlands, generally on our own and away from the crowds that are inevitable with larger ships. And, because our timing is more flexible, we have added freedom to craft the rhythm of our days as each group prefers. While some ships offer a chance for a single night’s camping on the ice, it happens in the company of up to 50 or 60 or more fellow travelers—not exactly the feel of a remote wilderness experience. Plus, these groups must arrive after dinner and be out by 5:30 am, without a chance to settle in for a camping experience on the ice. It's really just quick chance to sleep in the vicinity of many other fellow travelers. We, however, hold special permits from the National Science Foundation that allow us to spend up to three nights camping ashore (weather permitting), in locations far from other human presence. 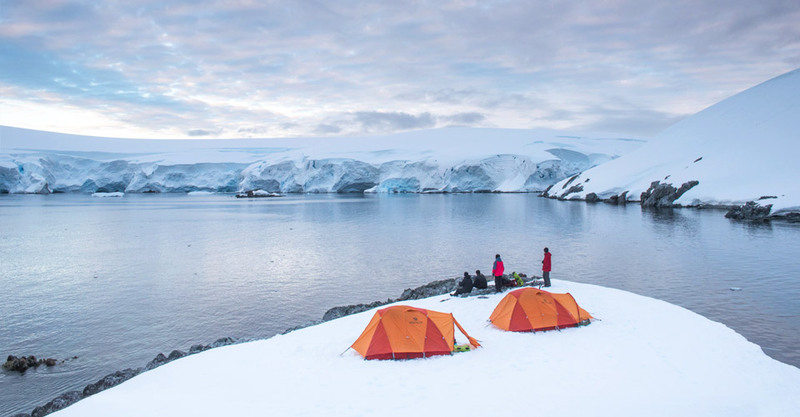 When we camp, it’s just us and the penguins and seals. While camping is optional (you're welcome to sleep aboard ship instead), it’s usually a major highlight of our travelers’ experience. Most visitors who travel to Antarctica aboard larger ships go ashore and essentially stand on the beach, perhaps walking a short distance in large groups. While even this opportunity can be exciting, often among multitudes of penguins, it pales in comparison to the chance to really explore away from the crowds. Our small group is able to hike farther, by ourselves, in the vast, pristine silence of the polar world. This is a genuine wilderness experience, and it isn't available on other itineraries. Optional opportunities for kayaking are included, and you are accompanied by our experienced Expedition Leader on exciting short excursions. We explore the shoreline in very small groups to ensure the quietest and most intimate wildlife encounters. (Kayak outings from larger ships often include groups of 20 or more.) Also, when you're kayaking with just a few individuals, you receive personalized attention from our Expedition Leader to help you improve your paddling skills quickly and efficiently. We've scoured the globe to find the premier vessel, captains and crew for this extraordinary expedition. You can rest assured that you'll be in the hands of preeminently qualified mariners as we cross the Drake Passage and navigate the polar waters of the Antarctic Peninsula. 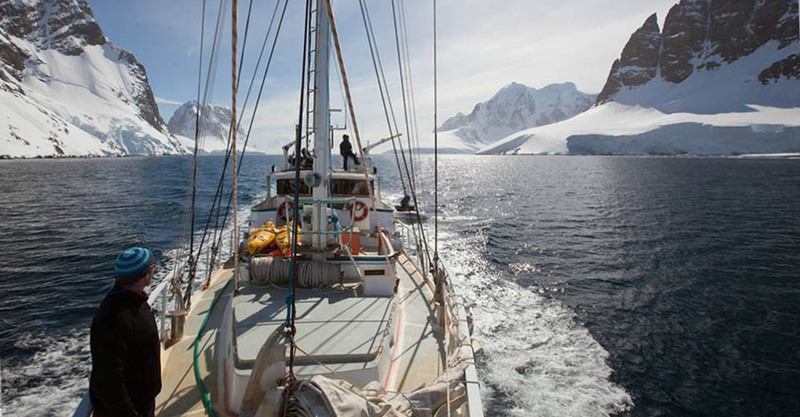 You'll cruise with a preeminent skipper, Ben Wallis, who has in-depth experience in polar waters. He owns our motorsailer, the Australis, grew up aboard boats and has been crewing on yachts in Antarctica since 1997, when at 18 he began to join his father, a seasoned skipper in these waters. He currently sails the 75-foot Australis in both the Arctic and Antarctic polar regions for approximately eight months a year. Ben has multiple certifications for offshore safety and sea survival training, and he guides a crew that is also exceedingly experienced in the Southern Ocean and Antarctic waters. While most Antarctica ship operators travel with onboard experts from naturalists to polar historians, few guests have a chance to interact with them personally. Most are consigned to attending lectures in the ship's lounge, rather than traveling alongside the ship's staff, asking myriad questions and developing the kind of friendship that typically accompanies any genuine shared adventure. 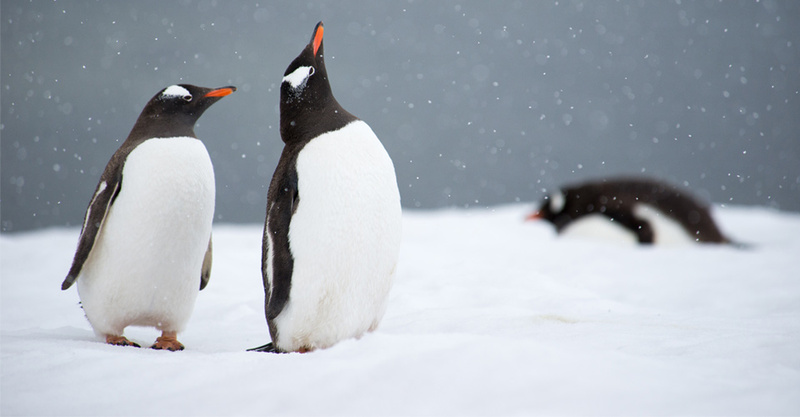 In contrast, our naturalist Expedition Leader provides a level of personalized service you won't find on other Antarctica trips. With tremendous depth of knowledge and experience in the polar realm, as well as training and resources from WWF’s renowned scientists, our guide embodies why we hold a global reputation for hiring the very best! See Expedition Leader bios with traveler comments regarding the quality of our leaders. As part of our unwavering commitment to safety and comfort, we use the best and most up-to-date equipment available on the market, including top-quality safety and survival gear, tents, kayaks and camping equipment. Our gear is meticulously maintained, reducing the chance for unexpected mishaps as we travel. With Natural Habitat Adventures, you receive our exclusive quality and value guarantee, clearly stating that we will meet the lofty expectations we set in our promotional materials. To our knowledge, this is the most ambitious guarantee made by any adventure travel company. Read our important promise. We all care about the planet, and on this adventure, you can travel knowing that the emissions from your trip are 100-percent carbon-offset—Natural Habitat is the world’s first carbon-neutral travel company. Because of our commitment to environmentally friendly travel, as well as the exceptional quality of our worldwide adventures, we have been chosen by World Wildlife Fund—the world's leading environmental conservation organization—as its worldwide travel partner, a designation that makes us exceedingly proud! Fill out the form below to receive additional information about our Sailing Antarctica: The Ultimate Polar Nature Expedition or give us a call at 800-543-8917. 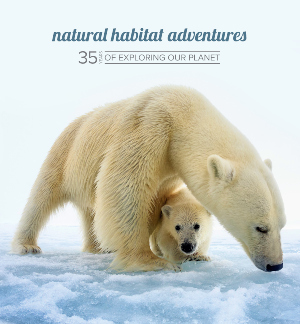 Hi Nat Hab, I’m interested in your Sailing Antarctica: The Ultimate Polar Nature Expedition. Can you please contact me with more information?